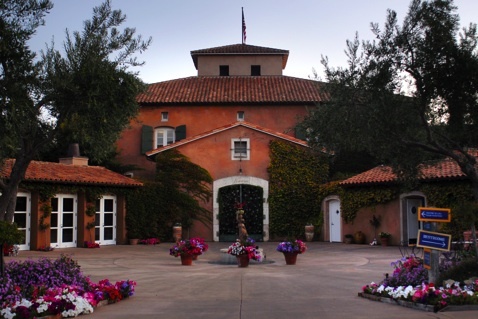 On the last day of my visit to Napa/Sonoma, I stopped in at Viansa winery located in Carneros, within Sonoma County. I was told that there were many Italian varieties being planted here such as Sangiovese, Dolcetto, Barbera, Nebbiolo, and Pinot Grigio just to name a few. Once I heard that these unique grapes were being grown in Sonoma, I knew I needed to see and taste for myself. Upon arrival, I met winemaker Ron Goss and was told we would be tasting his 2007 “Pierina” Vernaccia for the very first time, so I knew I was on to something good. This wine is perfect for a hot summer day and it has lots of tropical fruit characteristics such as pineapple and floral notes with great acidity and fruit on the finish. This wine is dry and comes through very clean and mouth cleansing on the finish. I also tried the 2007 Arneis, which had a lot of stone fruit characteristics, such as apricot and peach, and even some spice. This would be a perfect wine with any Asian or Thai food with its richness on the finish. I also tried the ‘06 Farneta which is 100% Primitivo. Ron told me they actually use a Primitivo clone so they cannot call it Zinfandel. This wine had lots of black raspberry, brambleberry and cloves. The ‘04 “La Nebbia” Nebbiolo had lots of cherry and rose petal aromas and was very well integrated. This would be the perfect wine to have with pizza from Viansa’s outdoor wood oven. For the dessert wine lover, the ‘05 Late Harvest Primitivo is amazing. Lots of raisins and fig, backed up with just the right amount of sweetness and the acidity. This wine is a great alternative to port and can be paired with a bitter chocolate dessert. 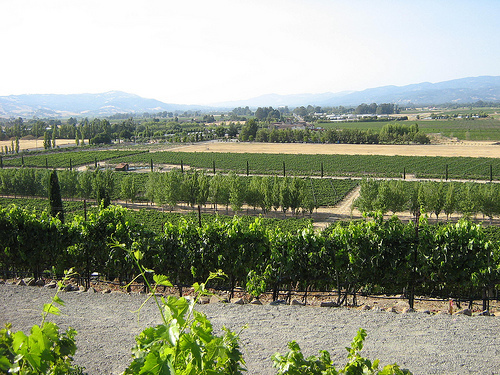 Viansa is truly “the sweet life” in the heart of Sonoma. The wine bar and tasting experience was like being in an Italian marketplace where you can sample wine and purchase a variety of wine-related merchandise and specialty foods. 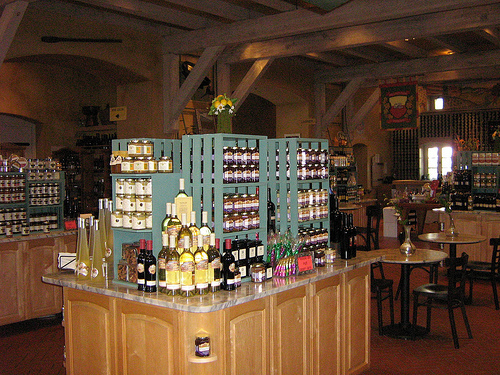 You can also purchase olive oil, which is estate harvested from over one thousand olive trees located on the property. The winery is very close to Infineon Raceway. For those who are looking for a diversion from the noise and action of the speedway, Viansa would be the perfect choice to enjoy some fine wines, shop and have lunch from the outdoor wood oven. The elevated view is spectacular and stretches quite far to the north and east overlooking the Viansa vineyards below. So, sit back, sip and enjoy! This entry was posted in General Wine Information, New Wines, Wine Regions, Wine Tasting Notes, Wine Travel. Bookmark the permalink.